*Digital edition with bonus remixes from Perc and Alex Deamonds* Tensile techno, grime and electro-bass rhythms from the ever-luminous Ikonika for Hyperdub. In contrast to her previous records, there's the feeling she's taken a step back from full-on modernism to bring vintage styles forward in her unique way. 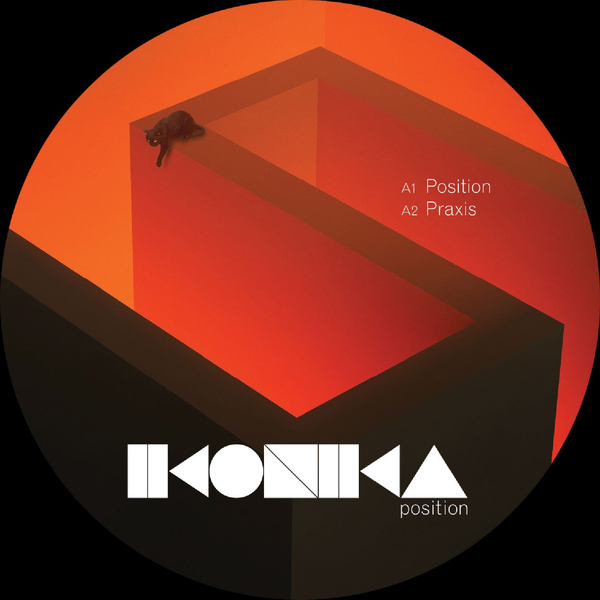 A-side, 'Position' jacks up a wily fusion of Dance Mania/Chicago house with Socafied Grime and electroid synthlines, and 'Praxis' twirls a glistening helix of industrial halfstep drums and bittersweet, 3D synth motifs. Flipside is better yet, bringing the crisply punctuated latin freestyle flex of 'Strawberry Underlay' and the dextrous twine of jackin' old skool drums with hairy guitar riffs and Atari blips.